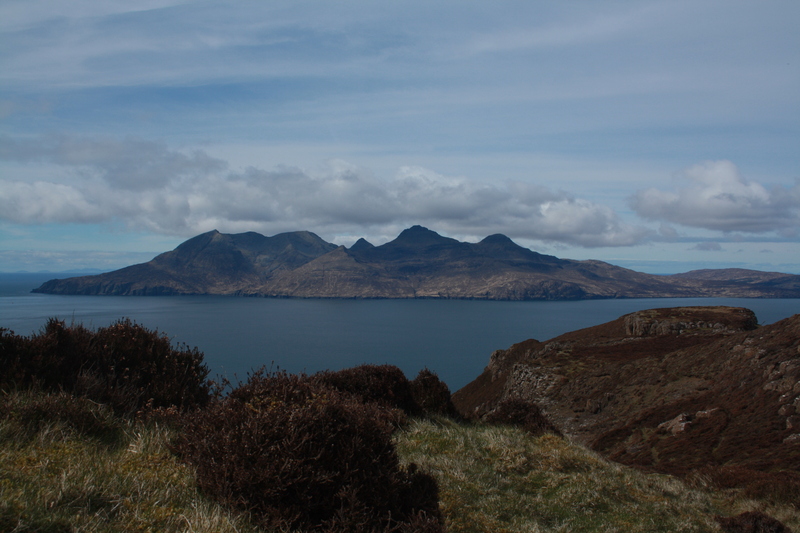 We’re heading back to Eigg this weekend and looking forward to another stay at the fabulous Laig Beach Bothy. When I was there for a week last year I was working on a piece about the 20th anniversary of the community buyout of the island , which is actually this year. There were a few people I wanted to talk to who weren’t keen, and that was fine – plenty of people did, and were extremely accommodating with yet another journalist wanting their take on things and trying to say something new. 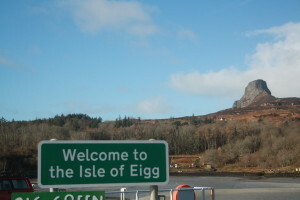 This week islanders Maggie Fyffe and Stuart McCarthy were good enough to play ball for me with the demands of BBC Scotland for interviews on the subject of Eigg’s population topping 100. Maggie of course has been the figurehead of the buyout that has transformed the island and enabled the population to grow from the low of 64 in 1997. 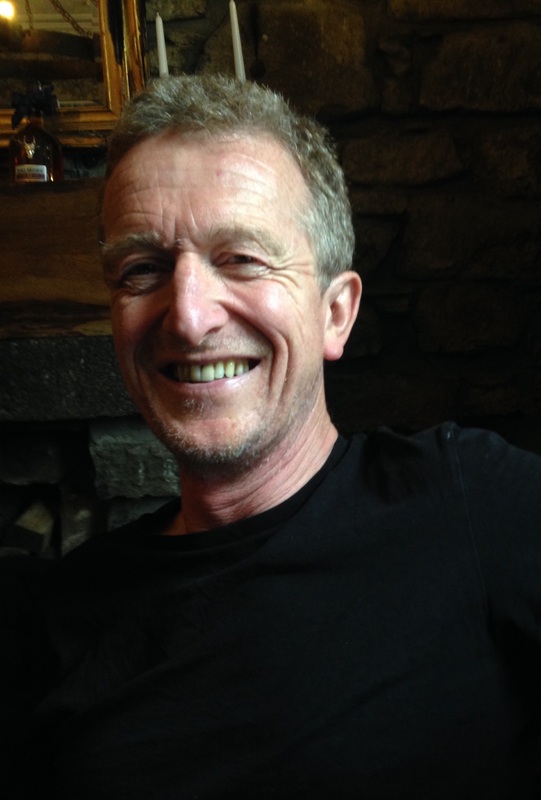 Stu the Brew is one of the people who has helped to raise the population by moving there and breeding! This week too there were people reluctant to talk, and the reason is generally a feeling of overexposure. The island’s buyout was genuinely groundbreaking and historic; the green power scheme really is something special; the community vibe is unlike that of anywhere else; and of course writers like me, film-makers and the rest all want to get a slice of the action. The 20th anniversary, officially celebrated in June, will attract more attention and more journalists. The islanders will be braced for it, I’m sure, but the professional visitors must tread carefully. 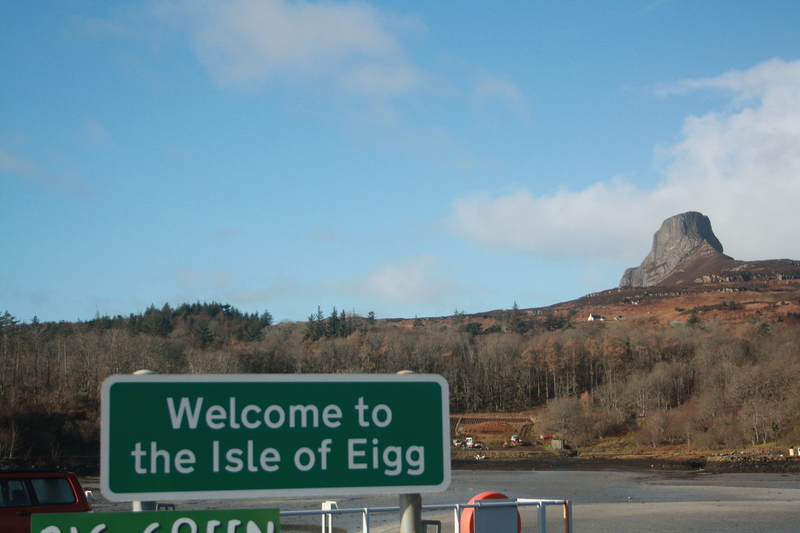 This is a living community and people can be reluctant to lay bare their lives for dissection in the media: the media is not always kind and has not always been kind to Eigg. Go gently, respect people’s wishes, and be genuinely interested in what this community does and how it works, and I’m sure like me you’ll get a warm welcome. Steam in looking for a quick hit and a news story and you’ll piss ‘em off for sure, and that’ll make it all the more difficult for other writers to tell the world the ongoing and frankly inspiring story of this unique place. I’m lucky that my fourth visit to the island will for the first time not mean writing anything: it’s just a holiday this time, no microphones and no notebooks, and I can just enjoy the scenery, the weather, and the craic. I’ll hopefully get up the Sgurr this time, and maybe out in a kayak. We’ll light a fire on the beach, watch as the sun dips behind Rum’s ragged mountain rooftop, and feel a touch of envy for our friends here who really are living the dream.